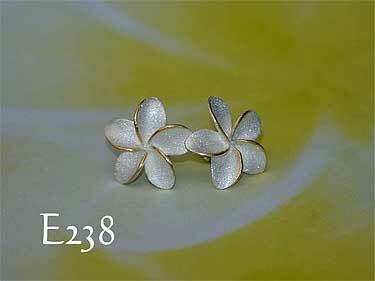 Sterling silver Plumeria (frangipani) stud earrings with extra white sanded finish and 14 carat gold plated edges. Post back with spring butterfly clips. Matching pendants in the Hawaiian jewelry range are also available.